You've read a lot about North Carolina on The Brew Enthusiast this summer. We wrote a piece on Brewconomy, NC's recent craft beer documentary. We've featured Birdsong Brewing, from Charlotte. We've even waxed poetic about one of our favorite cities in the world, Asheville. Suffice it to say, North Carolina is clearly punching above its weight class in the beer world, and it's not showing any signs of slowing down. I visited Asheville this past summer to absorb the good vibes and line up some great content for us here at TBE. Green Man Brewery, one of Asheville's original brewing stalwarts, and one of my favorite places in the world to belly up to the bar and drink a few beers, was at the top of the list. For anyone who's been there, you know that Asheville is an eminently walkable city. In fact, you'd be doing yourself a disservice if you moved around in any other fashion. Green Man is located in the South Slope neighborhood of Asheville, which is a slightly off the main drag and absolutely busting at the seams with breweries. Within a 5 block radius of Green Man, you could visit Wicked Weed, Burial Beer, Catawba, Twin Leaf, and Hi-Wire...to name a few. Your afternoon won't be sober, but that's not the point. While Green Man is now an entrenched community business, its evolution has been unique. The brewery started in downtown Asheville, in 1997, on a seven-barrel system with a focus on brewing traditional, English-style ales. They're current line-up of flagships (An ESB, IPA, and Porter) have been consistent since they started making beer, and all of them are excellent. It was purchased in 2010 by the current owner, a man mysteriously referred to as "the hop hustler". Since that time, the brewery has evolved from a local brewpub into a full-scale production brewery distributed in four states, with a large expansion currently taking place. It seems that they're ready to turn the awesome up to eleven. The brewery, in its current state, is a hilarious mishmash of new construction, brewery stickers, fermentation tanks, and TV's that seemed to be exclusively dedicated to soccer matches. Elise Carlson works at Green Man, heading up their PR and marketing activities, and her take on Green Man's continued success in the growing Asheville brewing community was refreshing. "The root of the success comes from our approach to traditional English styles. We buy all imported English malt that’s very high quality for our English-style flagships, and we do not pasteurize our beer. But it’s not just about coming to try the beers and getting hooked. We prefer a more interactive approach. We want you to learn about the process as well. That’s one of the main things that will set us apart from the other breweries and tasting rooms here in town." Green Man's investment in the customer experience is why they offer free brewery tours every Saturday. On the growth of craft beer, it's a darling topic for beer bloggers, trade associations, and almost anyone willing to listen. You probably saw the news, but we've recently hit a major milestone. There are now over 4000 breweries in the United States, with 75% of the U.S population living within 10 miles of a local brewery. These are just stats, however. What's more impressive is the idea that every single person on that list decided that their time, and more relevantly, their cash, was worth investing in the business of brewing. Beyond a shadow of a doubt, it's proven to be a sustainable and scalable enterprise. But what does growth look like in a town like Asheville, and to a brewery like Green Man? If you look at the class of 1997, you find a laundry list of notoriously awesome breweries getting started that year, including Founders, Sweetwater, and Upland Brewing Company...all big fish in the craft beer world these days. Green Man, it seems, followed a different trajectory. The brewery has run its roots into the ethos of Asheville, with a loyal following and consistent local demand that most breweries would love to have. They've only recently (ish) moved into some parts of Tennessee and Florida, along with all the counties of North and South Carolina. A brewery like Founders has essentially claimed the contiguous U.S as its defacto distribution (there are clearly other factors at play there, but it amounts to the same thing). Some breweries go wide, Green Man went deep. Not to say they don't have growth on the mind. 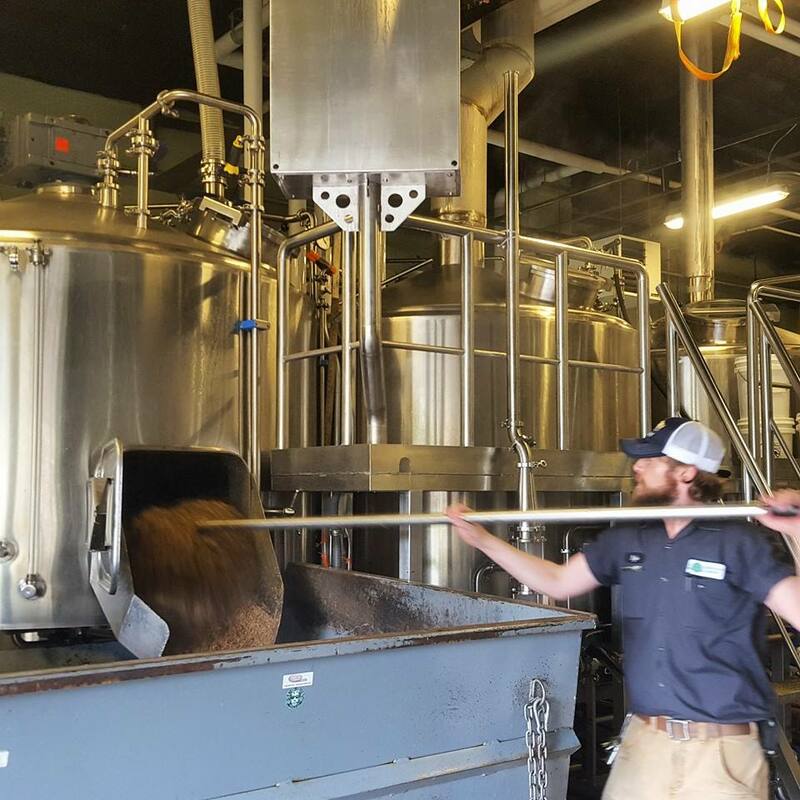 The recent expansion will help to relieve the load on the full-to-bursting fermentors currently sitting in their production brewhouse, with a goal of making 15,000 barrels of beer by the end of 2016. If my arithmetic is correct, they'll actually possess a production brewhouse and two specialty brewhouses at that point, allowing for some seriously creative liquid coming down the line. True to their roots, they'll keep making inspired English-style ales with an eye on the creative side. The Wayfarer IPA, a white IPA, is fantastic, and the barrel program they're running with these days is about as irreverent and wonky (wonka?) as it gets, evidenced by the Snozzberry, a lambic wheat that spent a year sitting in oak barrels and a top-secret mixture of berries. I can't actually find any words to describe that particular beer, but whatever the feeling is, it's a good one. Asheville is the sort of town that felt like home when I arrived, and Green Man epitomizes the energy that locals and travelers alike feel for the community. Their staff is welcoming and open-minded, collaborating extensively with local breweries and just as supportive of the big national craft brands that have recently set up shop in the area. I'm predicting big things for this crew in the next few years, and I think you should probably keep a lookout in your local bottle shop as well. And what about the legend of the Green Man himself? I think they finally found him down in Asheville, and not a moment too soon.